Who Is Running For The United States Senate In Texas In 2008? Is there a United States Senate race on the ballot In Texas in 2008 and, if so, who are the candidates? There is one United States Senate seat from Texas up for election this year. Democratic State Representative Rick Noriega is the nominee of his party for this office. 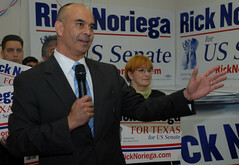 Mr. Noriega is a native Texan and an experienced legislator. He was elected to the Texas House in 1998. Representative Noriega is also an officer in the Texas Army National Guard and has served extensively in Afghanistan. Please click here to learn more about Mr. Noriega. The incumbent is the deeply conservative John Cornyn. Mr. Cornyn was first elected in 2002 with, for a Texas Republican in recent years, a relatively low 55% of the vote. I would argue Senator Cornyn is out of step with the needs of Texans today, and, also, with the state Texas is becoming. With a firmly established pattern of supporting the failed War in Iraq, crippling Medicare and being stingy on veteran’s benefits, Senator Cornyn represents a past many Texans are now questioning and a future that offers little response to the changing economic and demographic facts of our state and our nation. As I write this in late June, a recent poll asserts Mr. Noriega is running just two points behind Mr. Cornyn. This is a strong showing against an incumbent. As you begin to focus on your options for the November ballot, I ask you to please consider Rick Noriega for the United States Senate from Texas. This is cross-posted at the Houston Chronicle where I am one of eight featured political reader bloggers. Below is a photo of Rick Noriega. One reason food costs have risen around the world is the use of corn as an alternative fuel. We put that stuff in our big trucks and SUV’s. Meanwhile, people across the world can’t afford food. This BBC story details the impact of biofuels in the cost of food. I’ve been waiting for Barack Obama to discuss this issue on the campaign trail. Doing so would show some global leadership beyond just discussing terrorists and Israel, Iran and Iraq. The New York Times reported a few days back that Senator Obama has extensive ties to the ethanol industry. Mr. Obama supports ongoing subsidies to farmers and big agriculture for corn that goes to biofuels. I suppose corn is an important thing to a Senator from Illinois who needed support from voters in Iowa as a candidate for President. But what about corn people in the world need for food? I’m all for Senator Obama. At the same time, I’m taking him at his word on this change deal he talks about. I don’t need Mr. Obama to be perfect. But supporting misguided policies causing poor people to suffer is not the program. I’m looking for at least the beginnings of the truth from our leaders on climate change and our prospects as a nation in the global economy. I’m looking for a reason to still believe in our political system in any meaningful way. Throwing poor folks under the bus–or under the tractor in this case–so we can fill our tanks is not a great start by Senator Obama. Above you see my excellent wife–who is in my view is the best person ever—sitting on the grave of Ben Franklin’s parents in Boston. You see her there reading and wearing a lot of blue. What an excellent wife she is and how lucky I was to spend a week in Boston with her. I tried to get the wife to dance on the grave—But she would not. Trinity is an Episcopal church that dates back to 1733. The building (above) is something to see and worth a look if you are in Boston. I’m not a church-goer and I’m not likely to become one soon. But nor do I have a reflexive hostility to religion. Many on my side of the aisle would have a more favorable view of religion if churches made a real effort at including all people. This post is part of an occasional Texas Liberal series called Central Questions. Loyalty is an important quality. What are possible grounds for loyalty? Who merits loyalty and for what reasons? I see loyalty as coming from personal circumstance, from experience, and, also, from a broader context of shared values. Loyalty also requires acceptance of people’s faults as you may see them. This because, if for no other reason, so that others will accept you and your faults. 1. A Shared Past— I give some stock to people who were in the same places I was at certain points in life. For example, people who hung out in punk rock clubs and bars I frequented in college get credit. I feel these are people who felt many of the same things I did at that age, and may now be people I can trust as an adult. Also, more personally, I want my past to matter—or to at least be recalled. To those old allies whose cultural and spiritual origins we share: we pledge the loyalty of faithful friends. 2. A Shared Present—People we work with or live near may have a shared set of experiences or circumstances that are a basis for loyalty. This doesn’t always work out, and loyalty here may be limited to the shared circumstances, but it is good to enter relationships with co-workers and neighbors with the hope that trust can be established. But, never mind, he is a neighbor who has done us a service on a time, so he’s welcome. 3. Gut Instinct Guided By Experience —Sometimes you have just have a feeling someone is on your side—A gut feeling guided by experience. When I have such a feeling, I go with it until I have reason not to. We felt the prod of gregarious instinct, the drawing together as though for united action, the impulse toward cooperation. 4. Someone Who Has Done Something For You—What I mean is more than “one hand washing the other.” I mean that if someone has done you a good turn for the right reasons, you should remember the favor and return it out of fairness and as a way of deepening a relationship. The way we return a good deed may be no more than a sincere thank you. Before long, your sister will follow your good example, and you’ll both be masters at the art of sisterly give-and-take. 5. Shared viewpoints—Relationships have a larger context than the interactions of the people in the relationship. Someone who sees the world as you do, may share values that are as important to you as are simply personal concerns. A relationship can have a context as large as the people in the relationship decide it can have. I was queer company enough– quite as queer as the company I received; but as I trace over what we went through I see how much common ground we must have found in the one idea that, by good fortune, COULD steady us. There are other grounds for loyalty that you may observe and follow based on your own experiences. I was on a Swan Boat today in a Boston park. The boat has a big swan built on it and behind the swan is a young person paddling the boat for the tourists. The boat swings around a small pond in the park. Across the middle of the small pond is a replica of London Bridge. Approaching the bridge replica this afternoon, a blackbird landed on the front of the boat. I said to my wife that maybe the bird had landed there to direct the young man paddling the boat to steer us to the underworld. I suggested that the underworld may lie on the other side of the London Bridge. All this is what I felt I could hear the bird whispering to me after it assumed its perch. The wife is used to hearing me say these things and we had a conversation about what the chances of all this really were. We discussed the pros and cons of my assertion. As is often the case, the wife was right. We passed under the bridge and were still in the land of the living. I’m still holding out hope that the ghost of Paul Revere will give us a tour of Boston. I think John Adams mentioned something about this in my dream last night. I’m staying this week at a Doubletree Suites hotel in the Boston area. On the computer at the hotel business center—no laptop for this blogger—I’ve pulled up the Lefty Blogs/Texas site a couple of times. Lefty Blogs is a feed of progressive Texas bloggers. I’m someone who often needs time alone so I can think and so I can manage my personality. If I don’t get time alone, I feel like I’m drowning intellectually and, also, I get grouchy. I’m lucky I have a wife with an almost intuitive understanding of when I need to be alone. I’m lucky my marriage is strong enough that the wife doesn’t take it personally when I want to take a walk or a ride by myself. As my life is structured now, a week alone is not in the cards. It’s jarring to go from time alone back to being in contact with others. I feel my thoughts will be lost. Though, fortunately, that’s not really the case. My greatest difficulty is in finding the balance between time alone and meaningful interactions with others. How does one successfully possess both temperaments required to make the best of such disparate demands on the intellect and personality? As far as I can tell, this attribute comes from the same source that good blog posts and progress on a book comes from—Strong mental discipline. It also come from, to a degree,the good luck to have discretionary time and to not have to spend all your effort in life just getting by economically. I think I have at least some of the discipline needed to communicate things of value. I will say though that it is a lifelong challenge to reach my personal goals in this respect and to use my time in the best ways possible. It is specific to each individual as to the steps needed to express what is best about their intellect and personality. It is worth the hard work necessary to figure out what those needed steps are. When did it all start to go wrong? When the first words were put on paper, and the secret rites and acts of Pharohs and kings were no longer guarded over by powerful priests? When the Catholic mass was no longer required to be delivered in Latin? When the franchise was expanded beyond noble lords and long-established and well-propertied families? Was it Andrew Jackson and the rise of American democracy? Public education? Libraries? Paperback books? It seems that democratic norms and the pretensions of the lowest orders have breeched the barriers of tolerance when people like me are allowed into the Boston Museum of Fine Arts to view the works of the great masters. Any yahoo with $16 can get in. You say not everybody has $16 to spare to look at art? Just how far would you have us fall. My inner-Federalist has been stirred by being in Boston. I’m just the type our more discerning founders were afraid of. A blogger is the most vile creature of them all. He or she presumes no barrier but ownership of a computer to sharing even the most obnoxious views with the entire world. I’ve had one glass of wine tonight. A few more and I’d confess that this liberal might even be a loyalist at heart. I’d be in safe in saying so because a defining characteristic of the lower orders is fickleness of mind and view. I took the tour of the Massachusetts State House this afternoon. As I left the building I walked past former Congressman Joe Kennedy. Mr. Kennedy is a son of Robert Kennedy. I attended a fundraiser for Mr. Kennedy at the Kennedy Compound in 1992. Joe was all smiles when I was writing him a check. But today? Hell—He walked by like he did not recall who I was. We did make eye contact though. Mr. Kennedy had an expression on his face like I saw on Gene Simmons of Kiss at the Cincinnati airport last year. I looked at Mr. Simmons and he looked back at me like someone who was used to being recognized but wanted to be left alone. I left both Mr. Kennedy and Mr. Simmons alone. I also saw the graves of Paul Revere and Samuel Adams today. I was hoping at least one of them would rise from the grave and lead me on a ghostly tour of Boston. New York Times columnist Nicholas Kristof recently wrote about conspiracy theories many people believe. For example, 30% of black people believe it’s possible AIDS was deliberately manufactured to kill black folks. This is held out as a crazy thing to think. I don’t believe it myself. But if you asked me if many white people and white politicians don’t care if poor urban black people live or die, I would say that’s correct. And plenty of black politicians don’t care either. In my own experience as a city council aide in Cincinnati, Ohio, I read the files of black cancer patients who had intentionally been given extra doses of radiation to see how they would react. Poor black people in cities, blacks and whites in rural areas, our colonized undocumented labor force, and poor people of all kinds, get inferior hospitals and inferior care. When you ask black folks if AIDS was the work of government, maybe what you’re really asking if the government would do things that would kill people who look like you do. “Yes” seems to be a logical reply. Mr. Kristoff says it is crazy that 36% of Americans believe that government orchestrated 9/11 or knew about it advance. Well—I’ve always thought that was a mistaken belief . George W. Bush was intent on going to war in Iraq before 9/11. He did not need any provocation. What people know is that we lied about why we went to war, we did not give our troops the right equipment to save their lives, we sometimes kill innocent civilians, and that the troops sometimes get terrible care upon arriving back home. Did the government or President Bush know about 9/11 in advance? No. Is the government as led by President Bush capable of terrible acts that cause people to die? Sure–All the damned time. Mr. Kristoff mentions two other conspiracy theories in his column. 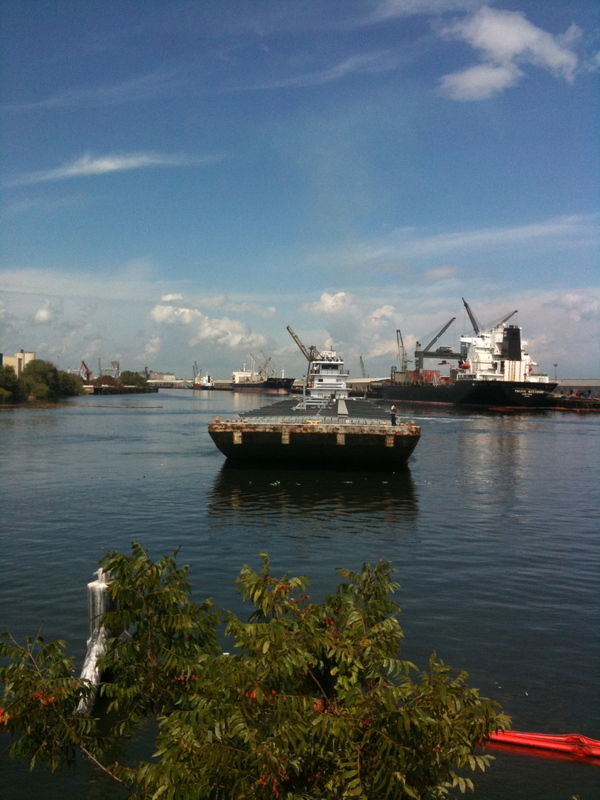 One is that the levees in New Orleans were opened on purpose in the aftermath of Hurricane Katrina. So why not figure that levees were opened by design? Is that much worse than the truth of the matter? Another view held by many is that crack cocaine was deliberately introduced into poor neighborhoods. Now that one is crazy. These communities were already so flooded with alcohol, cigarettes, overpriced grocery stores offering little or no produce, bad schools and a host of other urban afflictions, why would you have to introduce something new to harm people? The history books tell us that we won our land in good part by exterminating the native population, and that we built up the land with the frequent and longtime use of slave labor. Our own experiences in life show us that our cities are left to rot year after year. And the poor are getting more poor even as the rich get richer. The painting above is Twilight In The Wilderness. It was painted by Frederic Edwin Church in 1860. Church did not fragment his colors into intense local passages but subordinated them to an overall chromatic scheme…As with a musical composition, there is a dominant key signature against which contrasting harmonies resonate. That’s right!—Life is a few broad themes. Individual events take place within the broad themes. These broad themes last through time. In the 1796 Presidential election, John Adams won nine states and Thomas Jefferson won seven states. All nine states Mr. Adams won in ’96 were carried by John Kerry in 2004. As a general matter, the Adams’ states were in the North and the Jefferson states were in the South. These regions of the country had different patterns of initial settlement. In the early years of the nation they had different institutions and different cultures to a greater extent than seen today. The 2004 results would suggest, with admittedly some simplification, that despite the passage of 208 years, initial differences between the regions have formed broad general themes that have exercised some control of American political history. Which, I’m sure, is just the point Mr. Church was getting at in his painting. A great book to learn about the early years of the United States is American Colonies–The Settling Of North America by Alan Taylor. Frederic Edwin Church lived 1826-1900. Here is some information about Mr. Church. The above links to Mr. Adams, Mr. Jefferson and Mr. Bush are from the first-rate presidential resources at the Miller Center for Public Affairs at the University of Virginia. 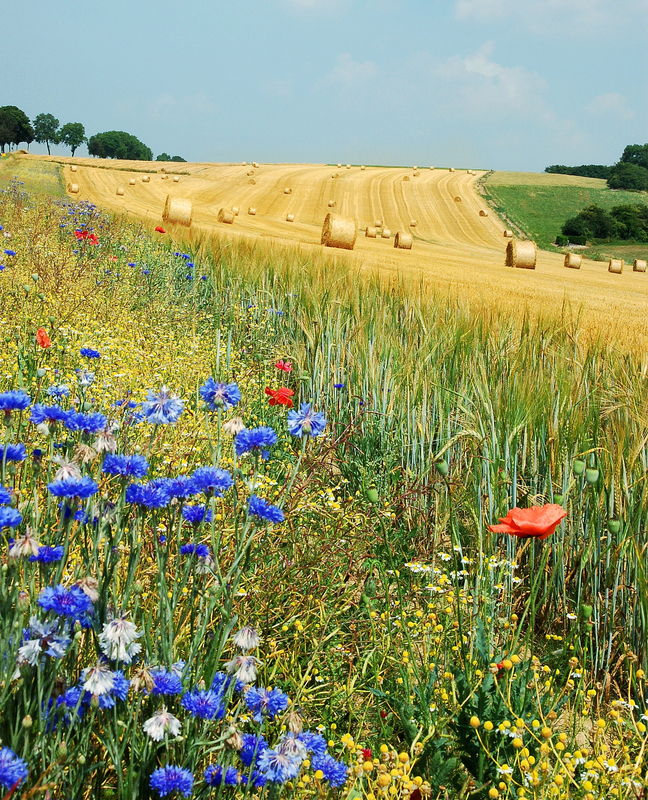 It’s time for a summer solstice blogging break. Either you run the blog or the blog runs you. For the next week I’ll be posting most days. However, I’ll be using posts I’ve made before. With the blog traffic doing well, I want to give some good posts that may have been overlooked another go. 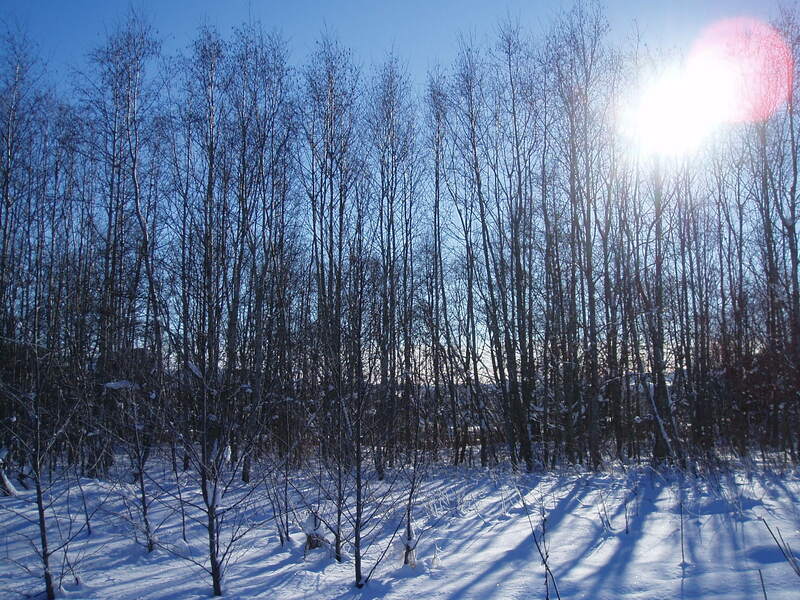 Above is the sun in winter. Below is a sunny summer day. 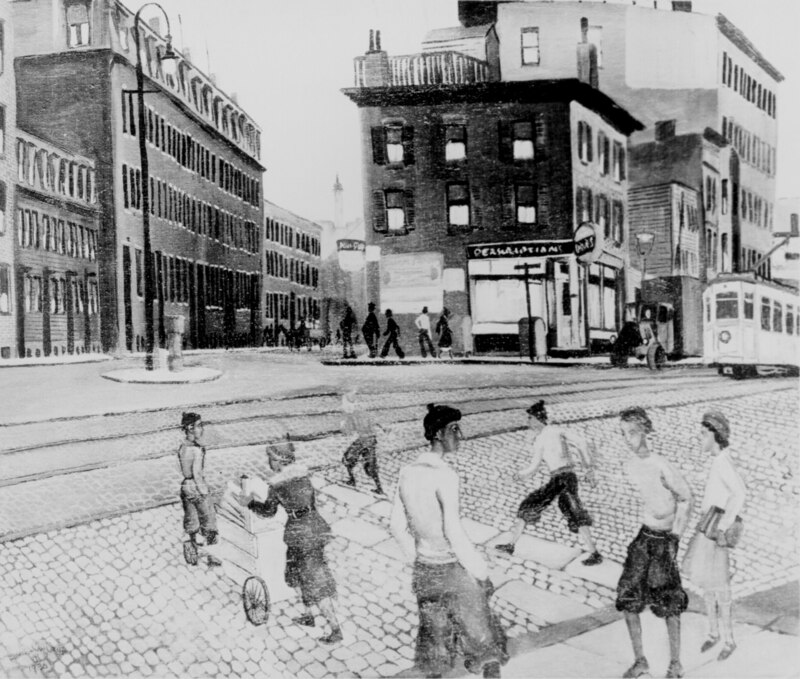 Here is Douglass Square in Boston from 1936. This was drawn by artist Allan Crite. Here is more on Mr. Crite. He lived 1910-2007.